About Me Too weird to live, too rare to die. I'm an agnostic-atheist, book addict, secular humanist, melodic death, black and dance metal lover. I'm curious, love life, always seeking answers and reasons for everything. I am absolutely passionate about children. Most importantly I'm Mommy to a beautiful 4 year old boy. Wild Fact About Me For me the things I stand by and for are black and white. There is no in between. Some things you just do right or don't do it at all. NEVER EVER HURT CHILDREND. I have no forgiveness or tolerance for people doing any harm to little ones. My Philosophy Without passion, you have nothing. What Gives Me Hope Finding goodness in the most unusual places and people. If I were Mayor, I'd make the world a better place by Put children first before anything else. What/who changed my life and why My son, need I say more. 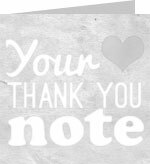 Say Thank You Greetings Hi Elfie, Thanks for linking this morning, have enjoyed our little chat and look forward to getting to know you better.